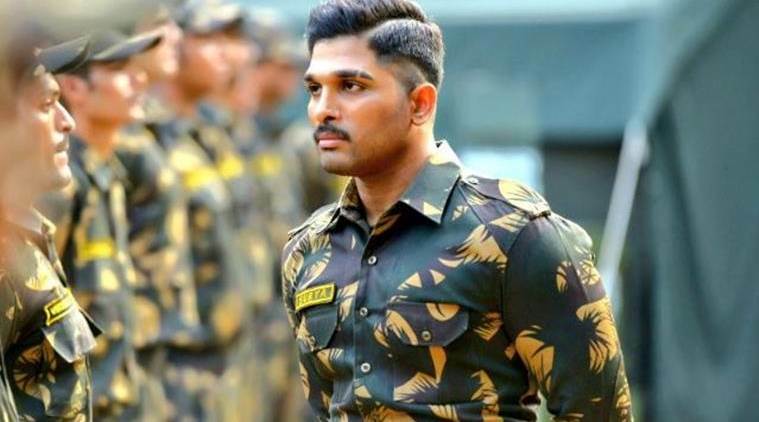 Story: Surya (Allu Arjun) is a short-tempered army soldier who almost loses his job due to an impulsive decision he takes. His godfather (Rao Ramesh) convinces Colonel Sanjay Srivasthav (Boman Irani), to let him keep his job. Except, he will only be able to do so if he manages to get a no objection certificate from a famed psychologist Dr. Rama Krishnan Raju (Arjun). However, Surya and the psychologist seem to share a past. Review: ‘Naa Peru Surya, Naa Illu India’ is a hard film to describe, what with so much happening in a span of fewer than 3 hours. The film has all the requirements of a commercial potboiler – there’s a love track, a family drama, an ambitious man striving to make it big in his career, several points of conflict complete with goondas and other moral dilemmas that all play out while interspersed at regular intervals with colorful and highly choreographed songs. However, NPS is a film that is confused as to which direction it wants to take. There’s only one key point it maintains clarity at – justifying the ill behavior of the protagonist by rewarding him for his behavior. Anu Emmanuel plays the role of Surya’s ex-girlfriend Varsha, the woman who usually bears the brunt of his behavior on more than one occasion. However, she or anyone in the cast has- nothing much to do in the film seeing as how this is Allu Arjun’s show alone. Naa Peru Surya is a film that would work purely because of such dramatic emotional moments in combination with the high powered action sequence, something that Tollywood is well known for.